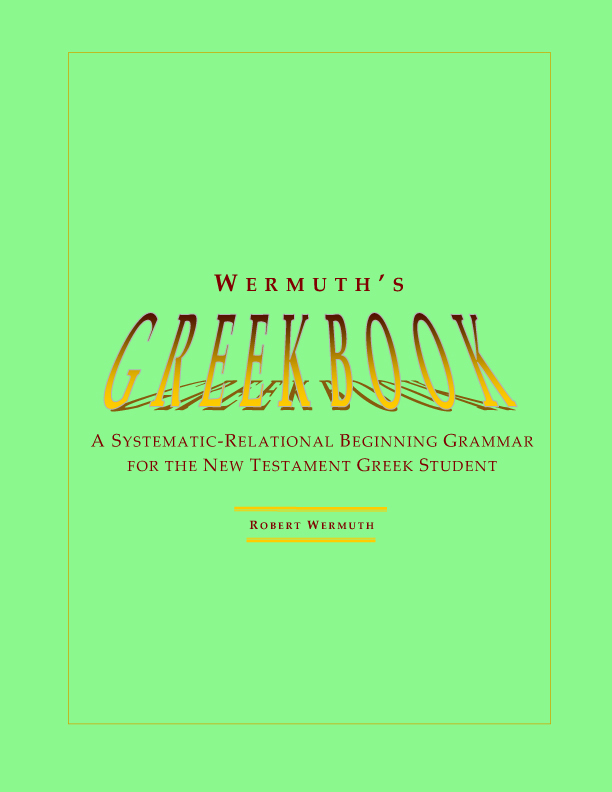 Wermuth’s GREEKBOOK Endorsements | "It's All Greek to YOU!" I bought your book earlier in the year and have a question. 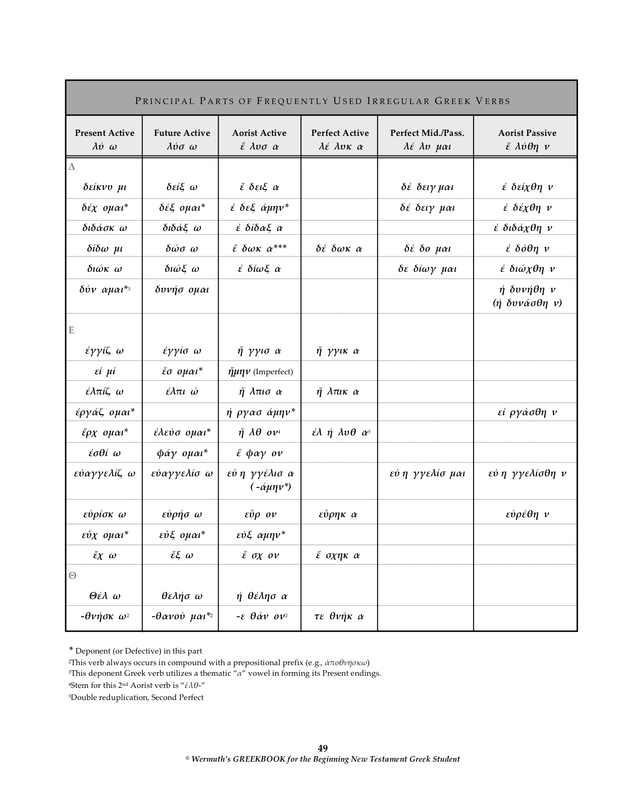 When translating “to” from English to Greek when does one use the dative case vs. the preposition “en”? P.S. I tried to find somewhere to ask a question and this is the only place I could find. Good question. 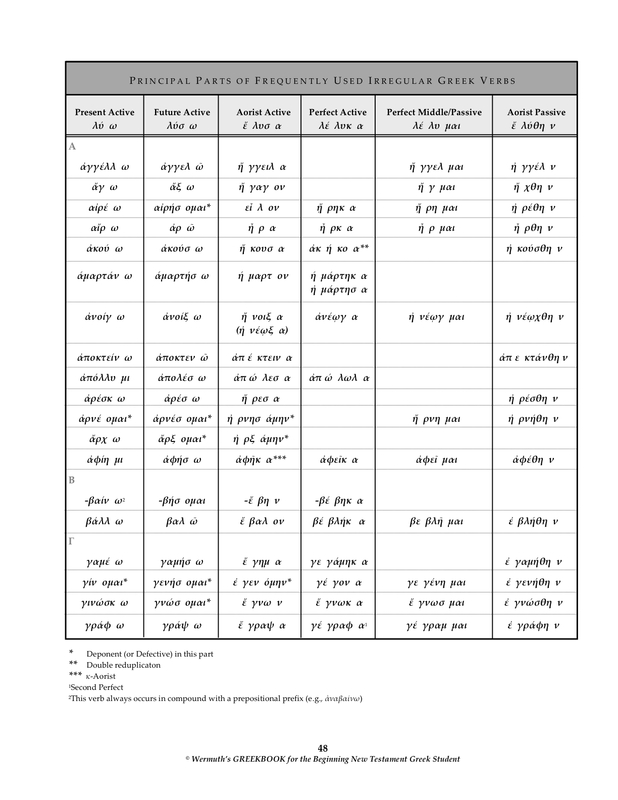 The dative case (in the 5-case system) has various functions, the most basic of which is “personal interest” (i.e. 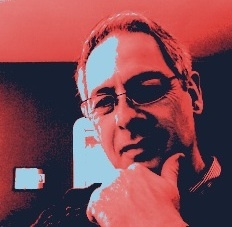 to or for . . .). Of course we also need to express “location” (in, at) and “instrumentality” (with, by). 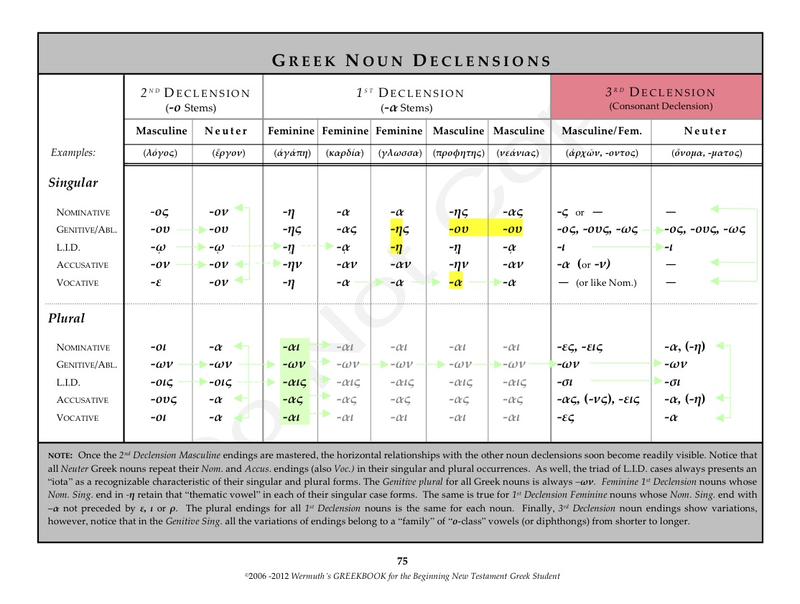 All the more reason I prefer the 8-case paradigm which reflection the dative endings as the Locative, Instrumental, and Dative (or the L.I.D. cases). 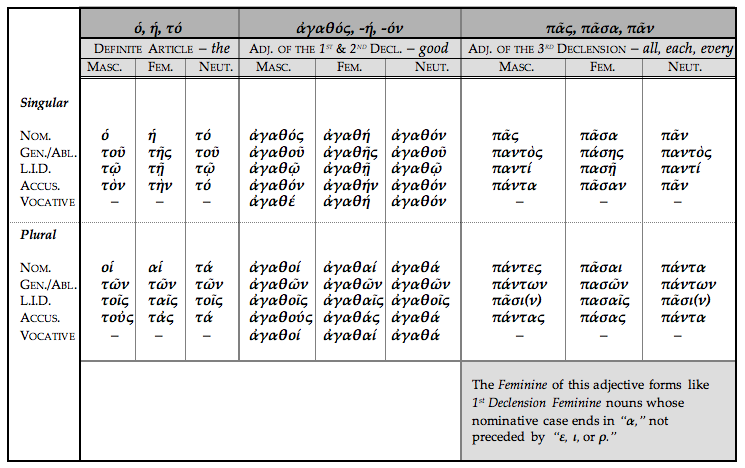 Either way when translating “to” from English, you would simply use the Dative case Greek noun. Use ἐν when you mean in or among (Locative case/Dative of Location). 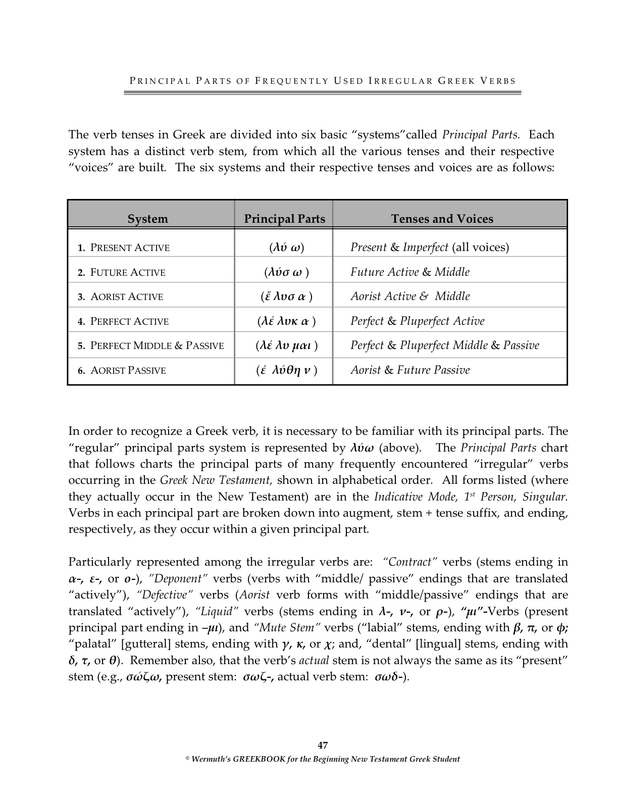 Of course for the Greek Instrumental you have the prepositions συν (with) and ὑπο (by).